Scones. Whenever I am truly homesick, I make my mother's scones. She never made them very often when I was younger and it isn't something that I ever craved, but now, whenever I really miss my family, I made my mother's scone recipe. I couldn't even tell you why. It just reminds me of home. The way they look, the way they, smell, and the way they taste all remind me of being in my mother's kitchen after school. I miss snow. I lived in Moscow and Geneva before moving to Southern California and I never thought that I would miss snow quite so much. I know you're supposed to say something really charming, like a madeleine. Or natural, like a fresh tomato eaten right there in the garden like a big juicy apple. But honestly? I'm from St. Louis, and we have this fantastic gooey cheese product there called provel. A St. Louis style thin-crust pizza with sticky provel is something I miss once in awhile, mostly because you can't really find that cheese anywhere else. I've even gone so far as to have it shipped to California. As far as a food that brings back memories, again it's very prosaic: onions being sauteed. The smell always makes me think of my mom cooking Thanksgiving dinner. I lived on a farm when I was a kid. In the late summer, I used to climb up the gigantic apple tree and sit on the roof our ramshackle Victorian house. The yellow apples weren't that great, but I loved the fallen ones. I'd sit up on the roof and eat the good parts of the slightly rotten apples that were nestled in the leaves. Those stolen bites were wonderfully sweet and intensely fragrant. When I was done, I'd pelt my non-tree-climbing sisters with the rotten cores. I'd forgotten all about that until about 20 years later when I had my first sip of Calvados. I can't drink it now without thinking of those sweet, warm, ever so vaguely fermented apples. All offices and workplaces were closed including the entire area of Old Montreal where hubby had his offices and so for two weeks it was party, party, party. The women and children spent each night at the shelter which was a block away at the local highschool gymnasium, yes, a block away and they had NO heat or electricity or as we locals say "Hydro". We aided easily several hundred a night including the elderly. Snow? What's that? It was 90 today here in Phoenix. And now for something completely different; When I lived in DC and we got a snow day, radio and tv announced in most urgent tones that only critcal federal employees need report to work, by which of course they meant the janitors. Guilty secret: I still make this same exact dish even though I know how "wrong" it is to Italian tradition just so I can have the leftovers with eggs. The smell of meatloaf in the oven and a fire in the fireplace always brings me back to my childhood. Even more than food, I associate certain memories with music. The first time I heard a song or a new type of music or new musician is always cemented in my mind with a memory of what was going on at that time in my life. I love to listen to music and remember where I was when I first heard it or think about some happy / sad memory associated with the song. Growing up in Florida I yearned for snow. Snow was everything that Florida wasn't. Snow meant tradition, snow meant sophistication, snow meant old buildings and cobbled streets and tiny shops; snow was the amazingly glamorous sport of snow skiing, for God's sake, not on water behind a loud and smelly outboard engine, but on wild mountains full of people silently and elegantly slicing through the amazing fluff that is snow. Who would then sit around crackling fires (FIRES! Inside!) wearing stretch pants and holding glasses of something transparent and pure, like old Scotch. Yeah, I know, I read too much. But unlike mostly everything else I read about, snow delivered. I'm sure it snows in stupid boring places with nasty people living in ugly houses. It must, it stands to reason...but I have never seen it. I have seen snow in Cananda and the US, all over Europe, in cities and the smallest hamlets, because in Europe they actually have hamlets, and it was just like I thought it would be. Even in the mean strip-mined hills of Appalachia where I had my meager year of college, where there was no old Scotch, it was magical and transporting. Snow comes through. Every time it snows, I snap to. Things are baked, and stewed. Soups burble and my house smells like mama's in the kitchen and the hands will be in soon from whatever it is they do out there. For the days that the snow is really there, fresh and white, I am extra alive and ready to eat. Potatoes roasted with olive oil, salt, black pepper, and rosemary. A frittata with rosemary, potatoes, and onions. My roommate on a dig in Rome taught me how to make these and whenever I make them, I think of her and how much fun we had - we used rosemary from the bush on our apartment's terrace, we would come home covered in dirt from the dig site every day, shower, and cook dressed in towels because it was too hot to think about clothes. I'd never had a frittata before and even more than the food, I loved that she shared her dishes with me. That was when I started learning how to cook, and to enjoy it. We never get snow here in Sydney - I'm jealous of your snow day on many levels. My favourite taste memories are from a trip to France fifteen years ago: an appetizer of a perfect tomato sliced and drizzled with olive oil and balsamic, and foie gras served with a local aperitif called Montbazjac. Mmmmmmmmmm. It was a beautiful day in New York - a day that was almost, but not quite, spring. Nevertheless, spring was in the air. A man I thought was going to become a "special" someone was invited to my apartment for the first time, and I was cooking dinner. Early in the morning I walked to Whole Foods at Columbus Circle with my little New York shopping cart and bought the ingredients for one of my favorite meals - Crabmeat Mandeville, Shrimp Creole with white rice, a tart green salad, and Banana Splits with Orange Sauce. I had a lovely bottle of wine and an armload of flowers. I cooked while listening to Jim Dale read a Harry Potter book and had a wonderful day. Dinner was delicious - and appreciated - and the evening was going along beautifully, and then it wasn't. At all. I never - I don't mean sometimes, I mean NEVER - go to bed without cleaning up the kitchen. I actually love doing the dishes, especially after a wonderful meal. But this night I climbed into bed and fell sound asleep. I woke up early in the morning, got out of bed, made a big cup of tea, and then went to tackle the mess in the kitchen. Slowly and deliciously I cleaned up. Of course, even if I hadn't washed the dishes, I had put the food away, and there was leftover Shrimp Creole in the refrigerator, all spicy and tomatoe-y. I heated it up and had it without rice for breakfast. It was better than darn good. It was heaven. I sat there alone in my apartment with the birds chirping and tight buds on the trees and a small bowl of one of my favorite foods and knew all was right with the world! I love the way you link "taste" memories with "state of mind" memories. People often talk about the power of smell (i.e. an ex-boyfriend's old shirt) to awaken long-lost moments in the present, but it seems to me that taste fixes things more firmly in my mind, so that I can call up those moments just at the thought of that taste, the way it felt in my mouth, the mood of the room. Maybe that's just it; maybe taste memories are so strong because they involve so many senses at once, and speak to each of them on such a primal level, while at the same time carrying all of the meaning of the meal and who prepared it and where it was eaten. I looked back at your old entry, and the cream of walnut soup sounds amazing. I guess I'm finally going to have to give in and get the book. I've gotten it from the library before, but have resisted bringing it home to stay so far. My Mom was a reluctant cook. Spaghetti sauce came from a can (bottled sauce represented an improvement in our lives), sometimes populated by small tasteless meatballs. My father was Italian. I wanted very much to like our home version of spaghetti but it always disappointed. When I was about 9 or 10 years old, I began to demand that my pasta be served dressed with melted butter, some pepper (that came out of a can too) and parmesan (yes, out of the green container). Even with those pedestrian ingredients, I was amazed at the interplay of flavors in that simple dish, and realized that meals did not have to be boring. I began to understand it was not always difficult to prepare delicious food. I discovered for myself that the thoughtful combination of various flavors and textures into dishes to share with family and friends was something fun and exciting to explore, not a chore to rush through. To this day, pasta dressed with good butter, freshly ground black pepper and a healthy dose of shaved Parmaggiano Reggiano takes me back to what I now recognize as the "birth of a palate". Mine is anything densely packed with poppyseeds. On a whim, I made a scaled down version of Deborah Madison's poppyseed cake recipe for a small dinner party last week, baking it as little cupcakes, and serving with strawberries and whipped cream. All very froufrou, right? But as soon as those buggers started to brown in the oven, the house smelled just like my Hungarian great grandmother's poppyseed kuchen, and just like poppyseed hamantaschen filling, and I was overwhelmed with a complicated mix of family memories long ago and the knowledge that Purim (and Spring!) is right around the corner. I'm sure there's a neuropsychological reason for poppies to make me feel all warm and fuzzy inside, but it doesn't feel chemical. Feels like love, and yet I am taken by surprise by it every time. Once again you have captured a moment in time with insight, humor and honesty. I happen to be in a phase of profound change, and being one of the I-love-my routines-and-comforts tribe, your comments on reaching beyond those boundaries and finding your life enriched resonates right down to my fingertips that cling to my NYC Metrocard and scruffy boots that stomped through our luscious snow as I plead, "But I don't waaaannnna leave." However, leaving is what I'm doing and returning to Texas on April 1st. I am chosing to seriously ignore that it is April Fool's Day and secretly wonder if that's why I got such a cheap one-way ticket. Do people not fly on April 1?!? Any way I digress. Thank you for reminding me that I am about to create new memories. On the food front: the grown-up me rushes to the kitchen to make my Uncle Miles' Chili; the child me used to stand at the counter while my mother made snow ice cream. We lived in west Texas, Sweetwater, serious desert/rattlesnake yada yada. So the snow came maybe one day every year or so and melted as quickly. Mother used to rush out and find a clean patch and work some magic with it - sugar, milk ?? - I don't even remember what, but it was a wonder. Coming out of lurking to say: cloves and rye bread. My college theater group played a kissing game with cloves stuck in fruit. Whenever I open a container of cloves I think of dancing, laughing, and kissing a lot of my friends (not to mention complete strangers). I'm now in a medieval recreation group, and my household's official drink is (no I'm not making this up) Aquavit. Now whenever I smell caraway I think of summer, campfires, and people saying, "Wow...that's actually...not that bad." Here in Michigan it's 10 months of winter and 2 months of poor sledding. Emerging from the shadows of lurkerville to thank you for this post -- it was the literary equivalent of an unexpected and lovely snow day. A pure pleasure. Snow...I do remember February, 1976 when it snowed in San Francisco; not enough for a snow day, but enough for my 6th grade class to have a snowball fight, and enough for some of us to fly down our little hillside in an innertube (wheeeeeeeee!!!). Aside from that, we had to take the 4 hour drive to Tahoe for serious snow; always did the innertube thing. As for food, it took an old PBS series, Great Chefs of New York, to give me my culinary epiphany; seeing one of the chefs works with gelatin sheets, I said to myself that one day I, too, would make something with gelatin sheets; it took 12 years, but, boy, did that marscapone panna cotta make up for the length of time. We too had an awesome snowday in New York! It was a day to stay home, watch the snow fall, watch bad TV and basically do nothing HOWEVER it was the perfect day to bake bread. The house was immediately filled with a warm, comforting fragrance. Once out of the oven, we broke it into chunks, drizzled it with fresh olive oil made from olives picked from a friend's olive grove in Pisa that been given to me a few months ago when I was there, added some freshly ground pepper and salt and devoured it making for an absolutely perfect late afternoon snack combined with charcuterie and wine. Simple yet delicious. yeah, so one of the few downsides to living in CA is that we don't get snow days. ever. for me, i actually think my memories associated with various songs are much stronger than my taste memories. odd, but true. the only one i can really think of is my mom's strawberry nut bread. she only makes it during the holidays and because her oven in wonky (and like a bazillion years old) she always burns it, but a slice of that with some melted butter and coffee will always remind me of my mom and the christmas season. Glad you got a day off :) how lovely and unexpected! You are so right about the wonder of snow days - the beauty, the quiet. I've lived in the DC area for 56 years and love how a snow day makes everyone slow down - AFTER they've run to the store in the usual pre-storm frenzy which is so annoying. We played with the dog, shoveled, fed the birds, watch Lord of the Rings (for about the 10th time) and made 115 tiny meatballs for soup. It was a perfect day. The tomatoes from my great-grandfather's farm outside of Cape Girardeau. Every tomato anyone in my family eats is judged against the absolute perfection of Papaw's tomatoes. My grandmother's chex mix, one of the two things she cooked every year. My mother's pasta sauce, before it had finished cooking all the way, poured over a slice of bread. Food/taste memories. What an interesting concept. Well, last summer my mom went out of town for a week, and I decided to step up to the plate and cook for my dad, sister and I. I'd only just found my love of cooking, and thus actually making meals without my knowing mother around was a bit frightening. Anyway, one night that week I made this sausage and lentil stew. I had grossly misread how long it would take to make, which did not go over well with my hungry family. So, while it simmered for what felt like forever, we bounced around the kitchen, singing along to my dad's weird folk music. It was honestly one of the best times of my life, and I think I finally realized that yes, cooking was fun. Now, whenever I make that stew, I can hear The Roches' 'The Naughty Lady of Shady Lane' playing, and I get that warm and fuzzy, 'I love cooking!' feeling. I second what The Other Tiger said above. I recently came across a recipe for cauliflower salad on some food blog, and I remembered the taste (cauliflower with carrots and a yoghurty-sauce with dill) and the circumstances I ate it as a kid. Made by my grandmother as a stand-alone dish in mid-summer (when you would like something light to eat), when I came home from school (maybe given leave by the headmaster to go home early, because it was so hot). I enjoyed your philosophy about working out your comfort zone to expand your comfort zone. With your and Grant's help I just made a dinner for 5 family members of the following dishes. 1)Cheese In Crackers--very good and as I suggested to you previously, I made a bunch with the olive oil pudding and they were good. All must be made within an hour or so or they get soggy. 2)Hot Potatoe, cold potatoe, truffle soup--superb but extraordinarily rich and my portions were a little large. 3)Bacon and Apple and Thyme--very good, but not great-be careful to use very little thyme. 4)Transparency of Manchego--excellent, one of the favorites. 5) Salad--the one real dud. No one really liked that vinegary, icy earthy taste. 6) Dry Caramel--very good, I thought, but people found they couldn't eat much of it due to the intense sweetness. Overall, an enormous amount of work (2 days) but really great fun and everyone was dutifully impressed and really enjoyed it. Thanks again for you help. Don't worry about your creative make up or any of the rest of it. You're just fine, Carol. In fact, you're great. I love your writing. It makes me feel good. Thanks. I am feeling similarly about Achatz's book. I honestly don't think there will be a "walnut soup" moment for me in it, because his view on what a meal should look like and how it should progress is alien to me. 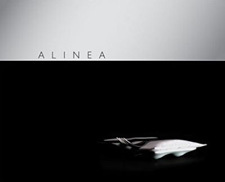 The more I read his recipes, the less I want to cook like Alinea. As you said, it is SO not me, where the French Laundry is much moreso. But (and you knew there had to be a "but"), I am finding myself filling a legal pad with note upon note of excellent techniques and flavor combinations I am finding in the pieces of Achatz's creations. I loathe his over-intricate, sometimes disturbing compositions: A meal should not be disturbing, to my mind. But the elements of those compositions are often genius: Even something so simple as leaving the tails on the baby beets when you sous vide them, then serving them upside-down so the tails stick up in the air like a Dr. Seuss drawing. Brilliant. I think that at least for me, this is where the value of Alinea lies. I'm a New Mexico expatriate; others out there will relate to the overwhelming nostalgia for red and green New Mexican chiles and the simple dishes they create. New Mexican huevos rancheros is a little different from what we get up here in Washington state: flour tortillas, usually two; eggs, usually over-easy; maybe some fried potatoes; topped with a lake of red or green chile sauce, and maybe some cheese. Every winter I crave posole -- a stew of hominy and pork, dressed with red chile sauce. Enchiladas and burritos just arent quite right without their accompanying lake of red or green -- or both, a choice called Christmas. Coming from the state where the official state question (no joke) is, "Red or green?" nothing quite replaces it. The only time we get off work excusably is when the city shuts the streets down, which is usually about 2 ft of snow, like last year. Cream of walnut soup sounds like a dessert you read about in children's fantasy books, ones involving woodland creatures and feasts. What a beautiful post. And I know the feeling. When I lived in NYC my favorite days were the days when it was quiet. Snowing. When absolutely perfect snowflakes dropped on my scarf... because I was outside. Just me and a delivery guy making bike tracks in the still pristine whiteness. Yeah Im in Westminster and couldn't believe how much snow came down. I'm from California originally and still cant believe that businesses close when there's a little snow! Oh well, looking forward to reading future posts. I made the Persimmon Cake recipe and proceeded to flip out. These days I cook stuff like garlic and lemon roast chicken and zucchini and mushroom risotto, but god I swear the above still tastes good. I haven't inflicted this uniquely tortuous assemblage of white trash cooking on my wife in a while, but I may just have to bust it out on a bachelor's night one of these days. BTW, I live in the DC area and the snow day was carte blanche for people in our little townhome circle to goof off. After a busy early morn of shoveling and salt distribution, we braved the roads in a Jeep to get Starbucks at a leisurely 10:30 a.m. Later, my neighbor and I decided that Manhattans at five o'clock sounded about right. It was marvelous.